PATCHOGUE, N.Y. /PRNewswire/ — As part of their ongoing effort to teach companies how to self-promote, internet marketing company, fishbat, shares 5 ways to help grow your beauty brand through effective social media strategies. Think the beauty industry is too saturated for your brand to make an impact on social media? Think again. Your beauty brand can grow its following and increase awareness by leveraging proven social marketing strategies. In a crowded industry, it’s essential that your beauty brand produces compelling content to drive awareness and generate likes, follows and shares. This may sound like a daunting task, but do not be intimidated – the visual-heavy beauty industry was made for social media sharing. Read on for 5 ways to grow your beauty brand through effective social media marketing. Tutorial videos and how-to’s should be a staple of your beauty brand’s social media content and for good reason. Not only do they show your beauty brand’s products in action, but they also deliver the added value of educating your viewers on how to use your brand’s products. Conciseness is key when it comes to creating tutorial videos for social media. Rather than share a twenty minute video demonstrating a full face of makeup, consider creating several shorter videos showcasing specific products. “How to Create a Cat Eye,” “How to Make Your Lips Look Fuller,” and “Contouring 101,” are great examples of the kind of short-form tutorial videos that your beauty brand should be creating. Be sure to make your video titles descriptive by including your brand and product names. Don’t limit your brand to tutorial videos exclusively. How-to infographics showcasing your beauty brand’s products are also a useful way to extend your brand’s messaging and increase awareness. Utilizing user-generated content is an effective way to grow your beauty brand. Create a unique hashtag for your brand and encourage your followers to use it to showcase themselves in photos and videos using your products. Not only can this content be repurposed to fit your brand’s social media channels, user-generated content also organically advertises proof that your products are effective. If you have the time, add a personalized comment on each user’s tagged photo your followers will appreciate your brand interacting with them! Social media contests and product giveaways are a unique way to reward your beauty brand’s existing followers and generate new ones. Promote contests that require entrants to perform several tasks to win such as following your brand, tagging a certain number of friends in the comments of the contest post, and liking the contest post itself. Frequently hosting contests and giveaways will introduce your beauty brand to a steady stream of new social media users, thereby creating organic engagement. Be sure to post complete terms and conditions to your beauty brand’s website. Partnering with social media influencers is an effective way to promote your beauty brand. Much like user-generated content, influencer campaigns show off your products in an appealing, organic way. Finding influencers that align with your beauty brand doesn’t have to break your budget. Very often the influencers with smaller followings, frequently-called “nano” or “micro” influencers, deliver higher engagement rates than those with millions of followers, since their audience is targeted. Breaking up your promotional content with clever, relatable and inspirational memes is a great way to foster community within your following and create a personal connection with your users. Memes are an opportunity for you to share your beauty brand’s unique voice and give your followers a break from being marketed to. 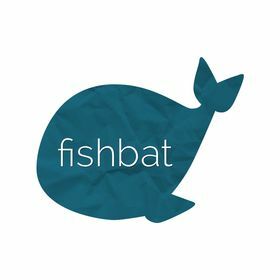 Digital Marketing Agency fishbat is a full-service online marketing firm that takes a holistic business approach to their clients’ digital marketing programs. The fishbat team understands the importance of business principles just as well as the nuances of the latest digital technologies. fishbat offers every digital marketing service available from digital marketing research and planning to brand development to website and asset creation through social media management and search engine optimization programs – all custom calibrated for both B2B and B2C businesses.